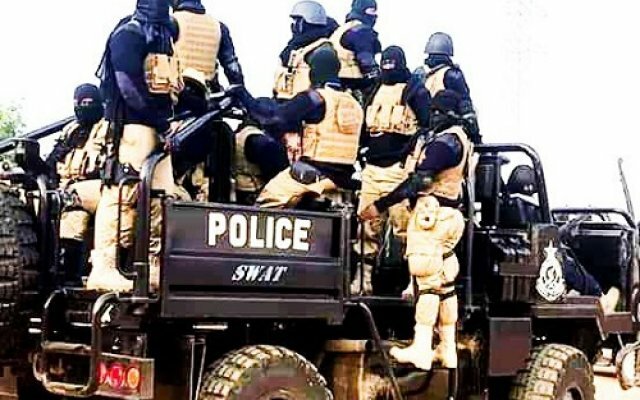 The SWAT team of the Office of the National Security deployed to the La-Bawaleshie polling station during the Ayawaso West Wuogon by-election used their guns recklessly in firing warning shots within, the report of the Emile Short Commission of Inquiry set up by President Nana Akufo-Addo has observed. The Commission said the SWAT team disregarded the safety of the residents and people who plied their trade in the area during the warning shots melee. In its final report submitted to the president, the Commission said among other things that its “finds that the warning shots fired were so done in reckless disregard for the safety of persons in the vicinity of this highly built area. The shooting took place near the private residence of the main opposition National Democratic Congress’ parliamentary candidate Kwesi Delali Brempong and also around a polling station. The SWAT team fired into a crowd of supporters of the NDC injuring 16 of them. They had stormed the area upon intelligence that there was a cache of arms being kept at a warehouse in the candidate’s house. According to the report, excerpts of which have been sighted by ClassFMonline.com, the Commission said it “finds that these men were deployed based on intelligence to the effect that certain arms and ammunition were stored in a warehouse within the constituency and were there to intercept and retrieve same. “From the generality of the evidence given before the Commission, however, it is clear that the said intelligence gathered was neither shared with the police, who are in charge of security, nor was the said information tested in accordance with a standardised routine or ranking protocols in confirming its reliability. “This is further compounded by the copious evidence before the Commission to the effect that the team aborted the mission and made no effort to retrieve the said arms. “The Commission, therefore, finds that the intelligence which formed the basis for the deployment of the armed men from National Security was, at best, of an unreliable quality. “The fact that the said intelligence was not shared with lead state agencies like the Police and Defence Intelligence is a major failure that undermined coordination.